The ecological role of shipwrecks as artificial reefs is well established and often is prime and exclusive destinations for diving tourism. 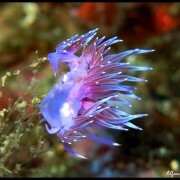 But they are also extremely delicate and sensitive environments. For this reason, the impact of recreational diving on shipwrecks should be taken in consideration since diver’s experience can strongly affect their associated benthic communities. 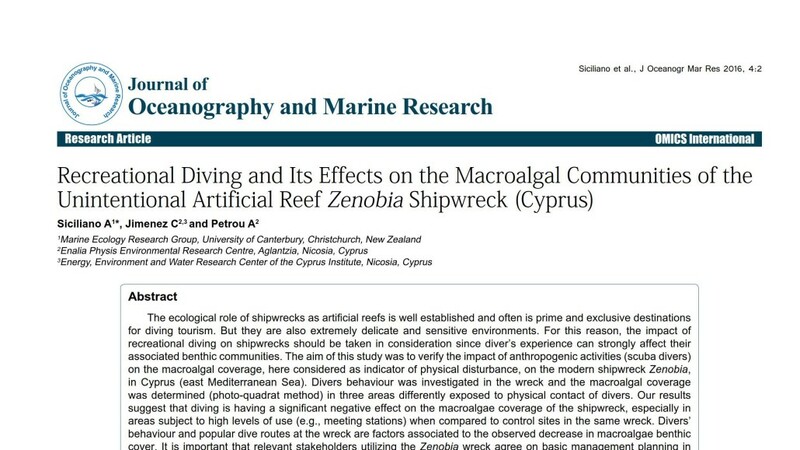 The aim of this study was to verify the impact of anthropogenic activities (scuba divers) on the macroalgal coverage, here considered as indicator of physical disturbance, on the modern shipwreck Zenobia, in Cyprus (east Mediterranean Sea). Divers behaviour was investigated in the wreck and the macroalgal coverage was determined (photo-quadrat method) in three areas differently exposed to physical contact of divers. Our results suggest that diving is having a significant negative effect on the macroalgae coverage of the shipwreck, especially in areas subject to high levels of use (e.g., meeting stations) when compared to control sites in the same wreck. Divers’ behaviour and popular dive routes at the wreck are factors associated to the observed decrease in macroalgae benthic cover. It is important that relevant stakeholders utilizing the Zenobia wreck agree on basic management planning in order to protect and enhance the wreck’s biodiversity. In addition, this study provides for the first time evidence of ecological deterioration of one of the most emblematic shipwreck of the Mediterranean Sea.